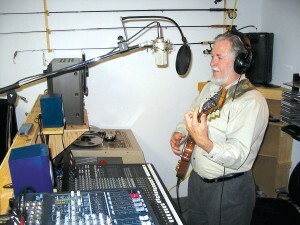 Brian Walker recorded and mixed “Some Plane Music” in his home recording studio north of Divide, Colo. Here, he records some music for his next album. His home recording studio is fully professional. 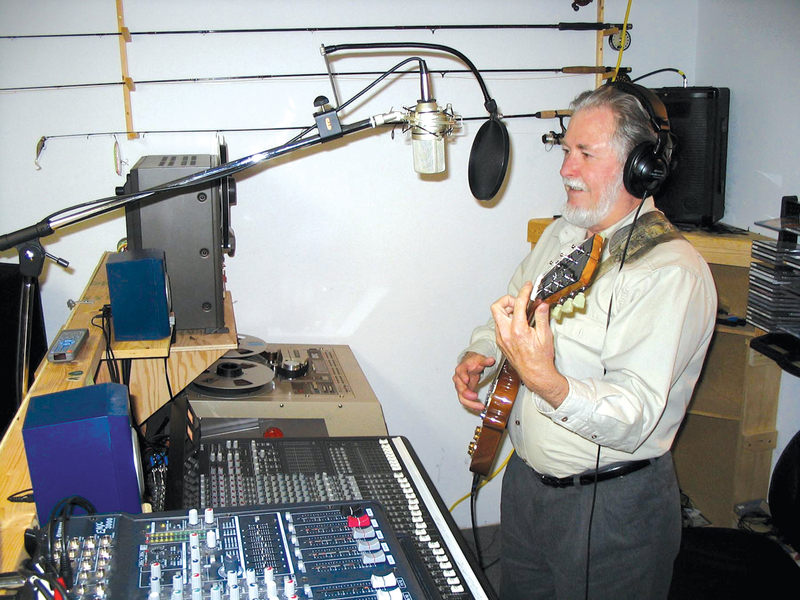 Brian Walker found his love for both music and flying while in high school in the mid-1960s, but he didn’t decide to combine the two until 40 years later. He was attending an air show in Colorado Springs about three years ago when the event’s entertainment director suggested he consider writing music about flying, and performing it at functions similar to the air show. That was all the prompting he needed. He was soon writing songs about airplanes, his own flying experiences, and the experiences of others. 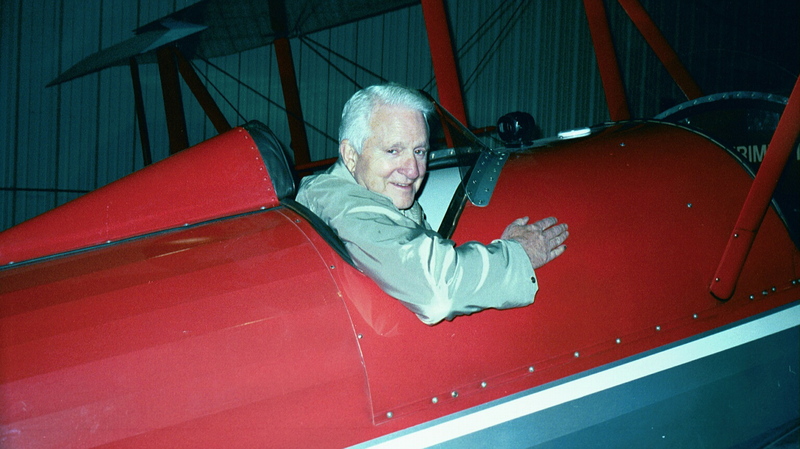 His effort paid off recently with the release of a CD called “Brian Walker – Some Plane Music,” entirely devoted to airplanes and flying. Solo’s, an airplane-themed restaurant/pub in Colorado Springs, built around a Boeing KC-97, was the perfect place to hold the release party for the CD in late November. There, the group played all 10 songs on their CD, and then some. As the band launched into its music, the crowd clapped and cheered. By the time the first cowboy chords to “Spam Can” reached the audience, it was plain to see that Walker had a winner on his hands. Walker explained that a Spam Can is a simple, low-power, fixed-prop, usually high-wing plane that plays a major role in teaching many how to fly. 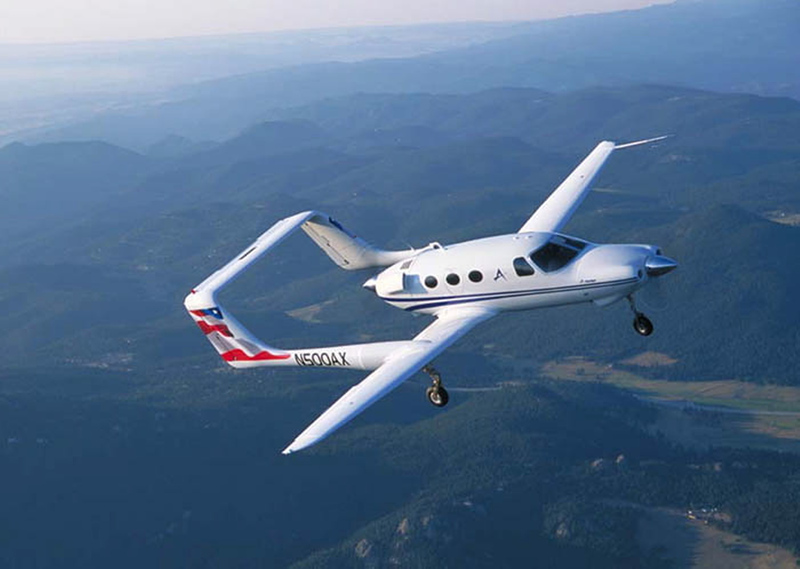 Even afterwards, the relatively low maintenance costs make the Spam Can the plane of choice for thousands of aviators who can’t afford the steep price tag on larger, more sophisticated planes. “Every word of ‘Spam Can’ is sung with respect and love,” Walker said during a break. “Everyone who has visited an airport has seen a kid or two hanging on the airport fence watching the airplanes,” he said. Walker has also done his part to encourage young fence hangars. 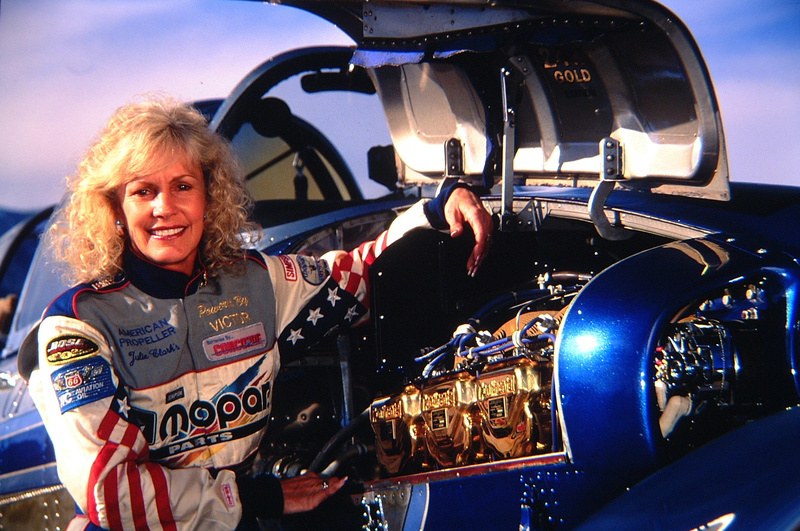 A longtime member and office holder of Experimental Aircraft Association Chapter 72, Walker’s participated in the Young Eagles program for years. 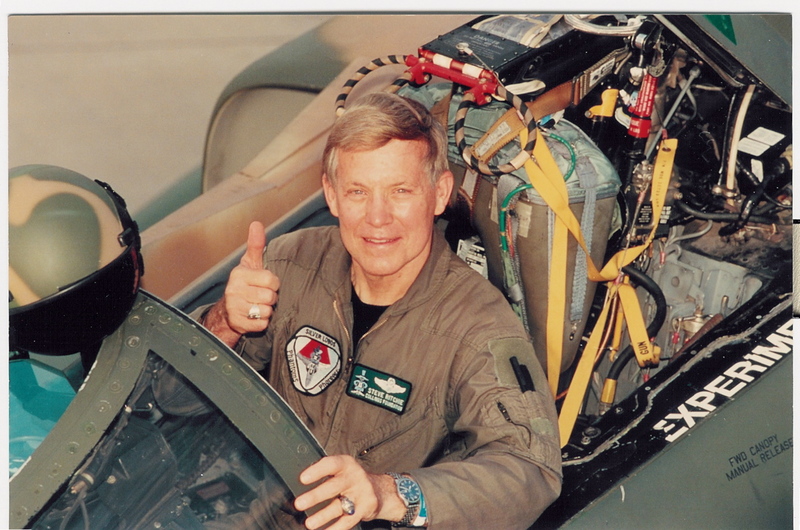 He estimates that he’s flown about 100 potential pilots in that time. 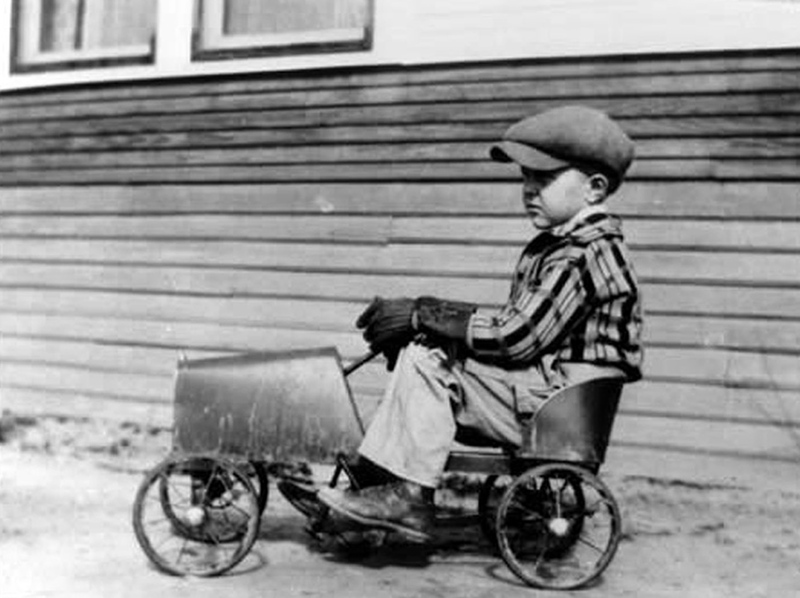 Walker spent his early years in Montreal, but grew up in Galveston, Texas. He worked at the local airport during his high school years. “I worked for the fixed base operator in Galveston for $25 a week and two hours flying time in a Piper Cub,” he said. He also honed his guitar-playing skills, and started writing his own tunes, but he was more interested in country and rock and roll at the time. He soloed in Galveston in 1967, but didn’t immediately start a flying career. By 1976, Walker decided to conquer his fear and renew his flying skills. Still in Galveston, he got his private pilot’s license, and also got involved with the Confederate Air Force. “That was a really neat experience because I got to fly a lot of really fascinating airplanes,” he said. 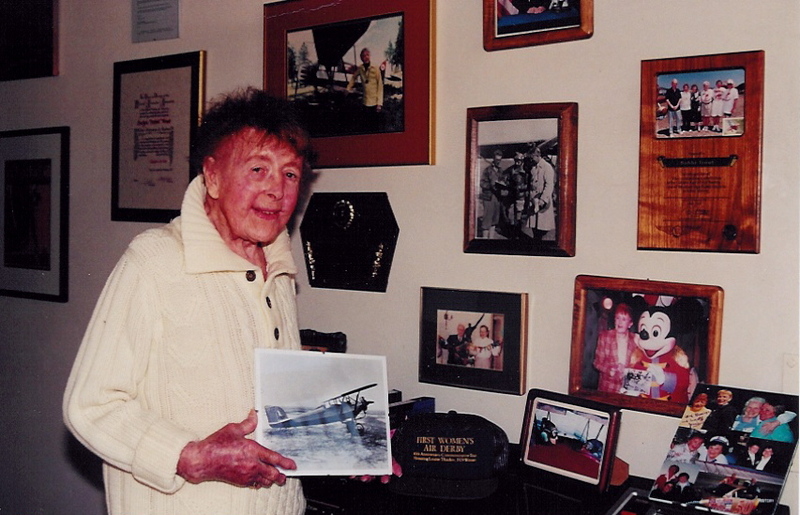 Among the planes he got to fly were a B-17, a PT-22, a BT-13 and a T-6. For a time, he was involved in law enforcement in Galveston, and frequently flew a de Havilland Beaver the Army donated to the police department. Although he hadn’t yet thought about writing songs about flying, he mentally filed those airborne experiences away. 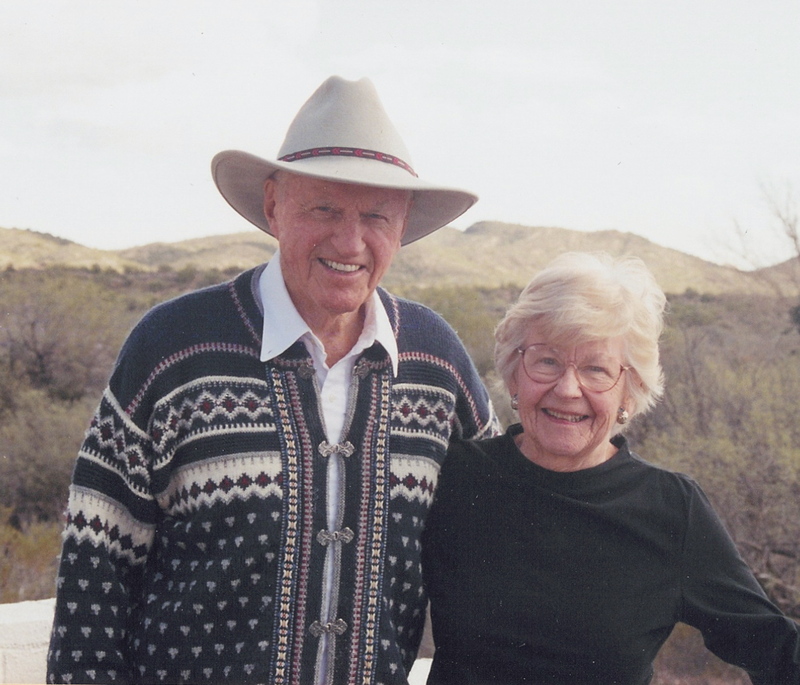 Walker and his wife Adele relocated to Colorado about 10 years ago. 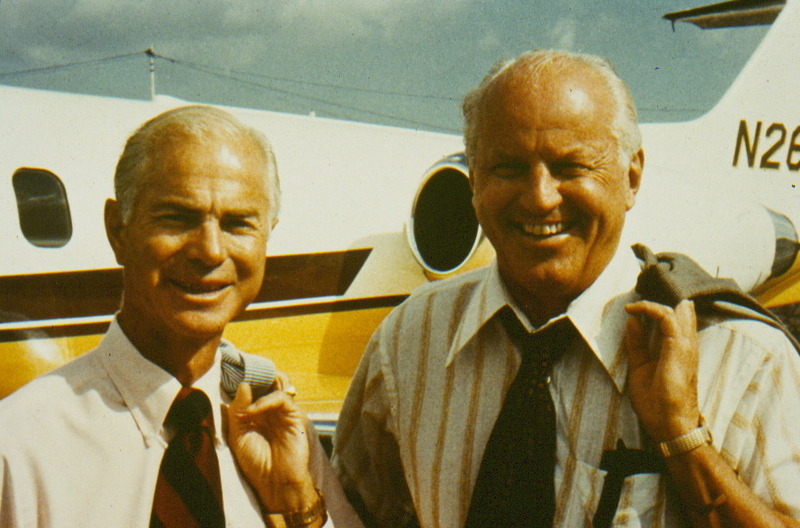 Shortly thereafter, he purchased a 1953 Beechcraft D-35 Bonanza from a pilot in Montana and flew it home. The plane’s engine had only about an hour flying time on it since a complete overhaul, so he decided to fly an hour or so and then land. “The airplane had an electrically controlled propeller on it to control the pitch,” Walker said. “I was a little bit confused about the operation of the prop, so we decided to land in Sheridan, Wyoming. It turned out that one of the wires that run to the pitch motor had come off; Walker reconnected the wire and continued his flight back to Colorado with no additional incidents. 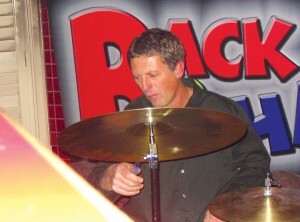 David Meeker keeps the beat as the Brian Walker Group debuts its first CD. Years later, Walker has repainted the Bonanza to its original white and green colors. He lives the life he proudly promotes on his CD. He frequently flies his beautifully restored aircraft, and often plays his vintage ’57 Fender Telecaster guitar. Outside of music, his primary inspiration is airplanes, and he loves all kinds. Walker and his band, which includes his wife, Adele, who plays keyboards, recorded and mixed their first album in his home studio in the Colorado backwoods. The husband/wife team built the home themselves, and turned the basement into a professional-caliber recording studio. Other band members include their son, Clint Walker, on lead guitar, Jim Osborn, bass guitar and harmony vocals, David Meeker, drums, and Neal Witwer, harmony vocals. 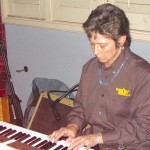 Walker is a genial musician who can play the blues, country, rock and jazz. His collection of guitars, amplifiers and professional recording gear, including microphones, 16-track, one-inch recording machine and equally impressive Mackie mixer makes one wonder how he can operate his own sheet metal business, maintain his pilot’s license, and be such a good musician, writing, recording, mixing and promoting his own CDs. Based on his extensive music and recording gear, it’s clear Walker is something of an equipment hound. “There are 902 knobs on all this equipment,” he said as he showed off his recording studio a few days after his release party. He assembled the high-quality studio by carefully searching out equipment, often locating it on eBay. On this particular day, it’s cold and snowing outside, but Walker’s little studio is warming up with the help of a wood-burning pellet stove. The pilot/musician straps on his Les Paul guitar and warms up his voice and fingers, while Adele does the same on her keyboard/synthesizer. He talks about some of the other tunes on his CD before putting in a practice session. “There’s always a rush at that time,” he said. One of the more raucous tunes on the CD is “Round Engine,” Walker’s musical ode to the radial engine, common on WWII aircraft. That tune rocks harder and is much louder in presentation, and the song contains a handful of power chords. Even if you’re not a fan of heavy metal music, you’ll enjoy this rocker. 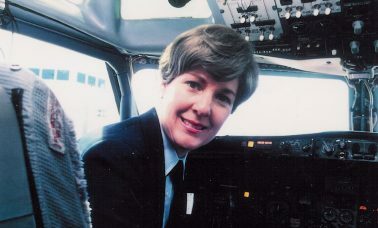 “As pilots, we look for an excuse to fly, going hundreds of miles for lunch,” Walker said. That will make the five-dollar burger eventually cost a hundred bucks for fuel, he said with a laugh. 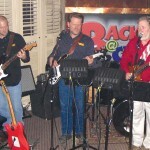 Walker’s goal is for his band to perform their airplane music for the crowds at aviation events and fly-ins. “We’re willing to perform anywhere,” he said. Another CD of airplane music is already in the works. 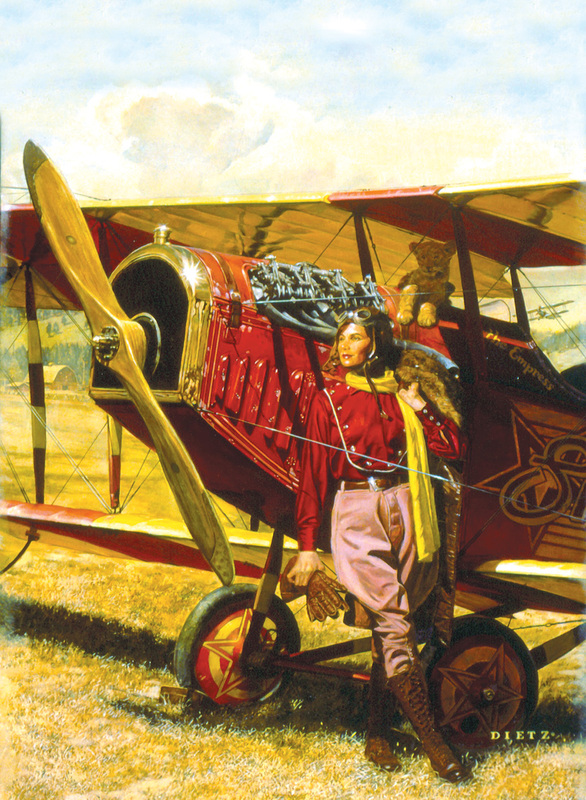 If you’d like to order “Some Plane Music,” which sells for $15, or inquire about booking the band, call toll free 888-424-4309, or visit [http://www.plane-music.com/].